4 frames all same size and color. 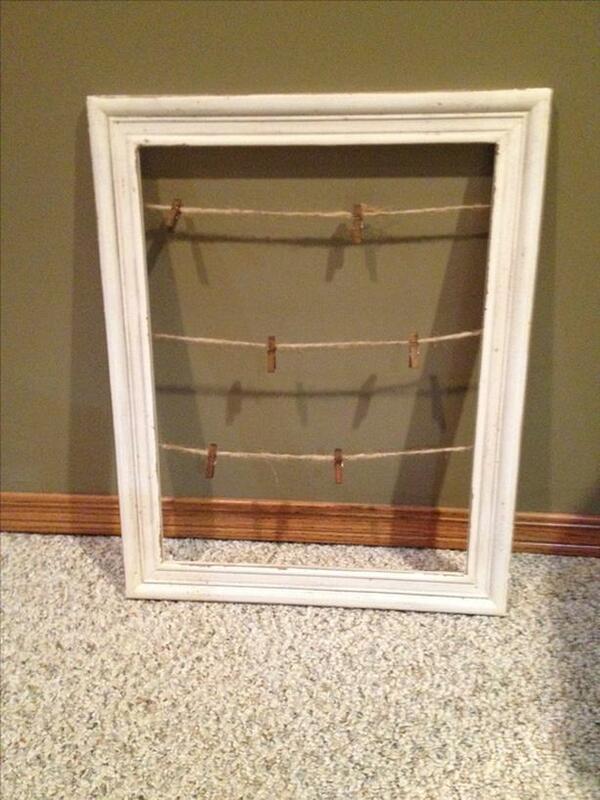 You can hang photos on the clothespins. Size is approximately 16X20. In excellent condition.